Cafe racing can be, in a nutshell, defined as racing motorcycles that have been modified so that they can be used for racing from a café to another pre-determined location. 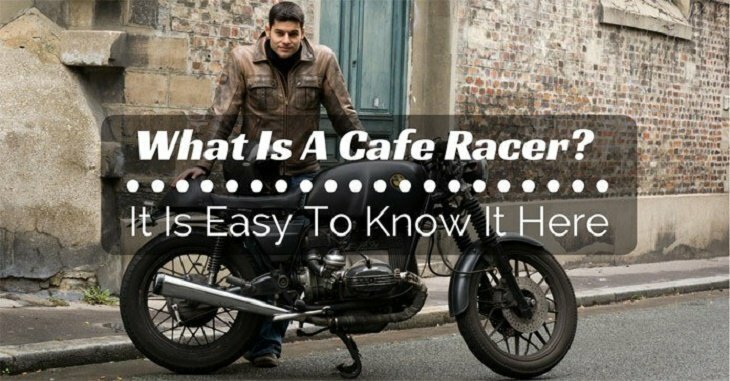 So in detail, what is a cafe racer? The most famous of all café (which is pronounced caff) races was the London Ace Cafe. According to legend, the riders raced from the café after having selected a record on the duke box. They aim was to get back before the record finished playing. Such a feat would have necessitated the achievement of the ton set at 100 mph (commonly referred to as The TON in café racing). If you can’t build your cafe racer, or if you don’t want to have to maintain an old bike, you’d have to invest in a modern café racer. Although building your racer is an ideal project, it would also require significant investment in space, knowledge, skills, effort, and time. Seeing as how café racing is increasingly becoming popular, bike manufacturers have started capitalizing on this new niche. 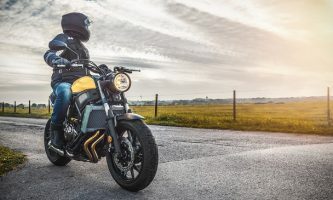 As such, many well-known manufacturers began creating and marketing different bikes with classic looks but with the abilities and technologies of modern bikes. These additions include electrical and fuel systems, suspension, and modern brakes. Cafe racer can be used to describe both a type of rider and a kind of bike. Both these meanings are rooted in the Ton Up Club (or the Rockers), a British counter-culture group from the 60s. Racers were also common in several other European countries – including Germany and Italy. That said, the Rockers were a young group of the rebellious who subscribed to the Rock and Roll counterculture. Their primary motivation was a fast, highly personalized, and ultimately distinct bike to enable them to travel from one transport café to another along the arterial motorways that were built around and in British cities and towns in the 60s. Their primary goal was to reach THE TON along the designated routes. Riders, to this end, would leave a café and race to a given point before rushing back to the café before the song playing on the jukebox came to an end. Their feats, to this end, came to be known as record racing. Today, café riders are remembered for their fondness of Rockabilly music. Given the fact that most of the tunes played on jukeboxes at the time were 2 minutes long or less, the racers would have to ride for more than 3 miles at extremely high speeds to beat the ton and make it back in time before the record finished playing. In the 60s, most affordable bikes couldn’t achieve this feat. As such, the average bike owner and worker would need to tune their bike and add a couple of racing options to get the desired performance. Tuning parts, however, were readily available – making the projects much easier. Riders, to this end, would only need to add those parts that their budgets allowed. With time, a standard look emerged – the ultimate café racer look. For most riders, however, having the ideal café racer look was just about enough. However, in the mid-60s, the market for fresh bike tuning parts took off, and the list of desired and available parts continued growing. Cafe racing evolved with time. By the mid-70s, Japanese manufacturers had overtaken their British counterparts and the look of real racing bikes used in the Grand Prix changed. The frequently-unpainted and hand-made aluminum racing tanks of the 60s evolved into square, narrow fiberglass tanks. With time, 3- and 4- cylinder Kawasakis and Hondas became the basis for most café racing conversions. By around ’77, other manufacturers noticed the boom in café racing and started producing factory-made racers. Notable among these were the Kawasaki Z1R, the Ducati Super Sport models, and the Harley Davidson XLCR (pronounced excelsior). In 1979, Suzuki released the GS1000S, a cafe-style bike. While most first cafe racer conversions led to an almost complete re-engineering of the bike, riders began modifying standard production bikes into café racers simply by equipping them with small bubble quarter fairing (around the headlights) and clubman bars. European manufacturers also joined the café racing bandwagon – including Derbi, Bultaco and Derbi, BMW, Benelli, and Aspes – and came up with revolutionary motorcycles designed for speed and power. So, what is the best bike for cafe racers? 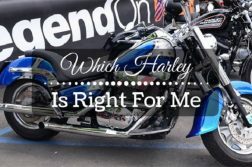 To get answers to this question, you need to answer another question of which motorcycle should you use as the base/donor motor? 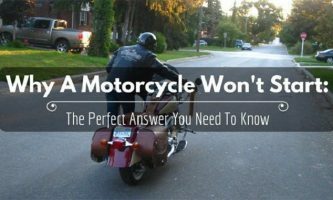 In the following guide, you will find an explained list of 6 of the most popular cafe racer models. All of these models are suitable for conversion – making each of them the best bike for cafe racers in their unique way. 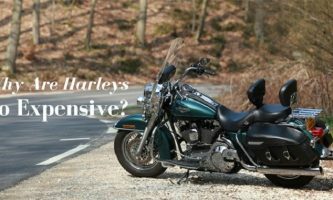 What is more, they are all affordable for most riders. The Honda CB, in particular, makes a good mark as one of the best base motorcycles for cafe racing projects. Successful throughout the 70s and 80s, the CB series is ideal because there’s a ton of them still on the market today. The success of this series has resulted in a huge selection of custom-ready products and aftermarket products. Further, the engines are easy to work with while also remaining reliable even after modification. However, you need to note that most of the popular Honda CBs (think CB750, CB550, and CB500) are quite expensive. Even so, their parts are widely available and relatively cheap. 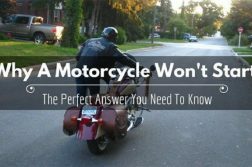 Another significant advantage you can expect from your Honda cafe racer – should you get one – is that there are many examples out there. As such, you should be able to find solutions and experiences well documented on the internet if you ever encounter a common problem. If your cafe racer has to be a Harley Davidson, a good recommendation would be the Sportster. 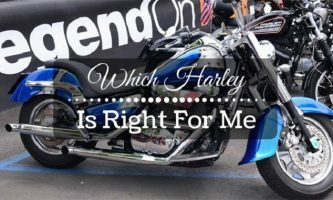 Truly American, Harley-Davidsons make for excellent racers – most notably the Deus, the DP Customs, and the Roland Sands. However, none of these quite measures up to the Harley Davidson XLCR 1000, which has evolved into something of a collector’s item. Powerful and fast, this is perhaps one of the best bikes you can get as your cafe racer. The Kawasaki W800, on the other hand, is quickly evolving into a modern classic cafe racer icon. It, for instance, boasts rubber pads attached to the gas tank, long buddy seats, spoked wheels, and lots of chrome. The only flaw with this Kawasaki cafe racer is that it isn’t much a runner. Still, you’re going to enjoy the low RPMs, the added torque, and the dry weight set at 216 kilos. A good Suzuki cafe racer would be the GSX 1200 Inazuma. Some changes you might want to make to it include shortening the sub-frame, changing the exhaust out, and fitting a proper ZARD can. You might also consider adding Yoshimura cams. Powder coat this Suzuki racer in black and add an inspired paint job to give it that fast and professional look atypical of all cafe racers. The Ducati Monster (particularly models released between 92 and 02) are great cafe racers. Factory-built, the Monster is quite pricey today on account of the fact that Ducati discontinued the model. Apart from a single-sided swingarm, the Monster also comes with a beautiful trellis frame that will give you a glorious display. 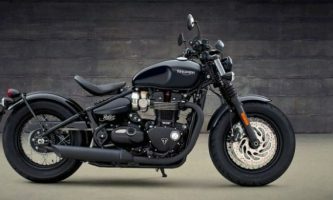 The suspension and brakes can also be upgraded and a scratch effect added to the rims for the ultimate cafe racer look. Over and above everything else, no single base bike can be considered the ultimate for turning into a café racer. 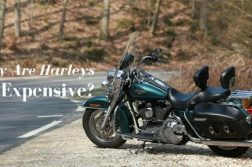 However, the above six motorcycles come very close. Use this post to inspire you to get your own racer or at least create one in your backyard or garage.